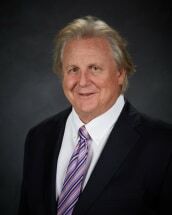 John P. Zelbst has been a trial lawyer since 1980. Throughout the years his practice has grown nationwide. With the assistance of local counsel, Mr. Zelbst has handled and tried cases all over America. Mr. Zelbst' legal career has focused solely on representing people who have been injured, wronged, falsely accused and mistreated. Bar Affiliations: He has been a member of the Oklahoma Bar Association since receiving his law degree from the University of Tulsa in 1980. Mr. Zelbst is licensed to practice before the Supreme Court of the United States; the Court of Federal Claims; the 5th& 10th Circuit Courts; Federal Courts for the Western, Eastern and Northern Districts of Oklahoma, the Eastern and Western Districts of Arkansas; the Northern and Eastern Districts of Texas and the District of Colorado. Member: Mr. Zelbst is a member of the Comanche County Bar Association; the Oklahoma Association for Justice (formerly the Oklahoma Trial Lawyers Association), and served as its President in 2000. He is also a member of the American Association for Justice, formerly the American Trial Lawyers Association. Mr. Zelbst is one of the 73 prestigious attorneys of the Oklahoma Chapter of the American Board of Trial Advocates, (ABOTA). Since 2006, he has been awarded the title of Oklahoma Super Lawyer and is a member of the Bar Register of Preeminent Lawyers, Martindale Hubbell and is also Mr. Zelbst holds the highest rating by the nation's most prestigious rating service. Rated by Martindale-Hubbell. He is a graduate of and a Board and Faculty Member of the Gerry Spence Trial Lawyers College, DuBois, Wyoming. This College was formed by Gerry Spence, a renowned national trial attorney. John was selected for inclusion in the Best Attorney Network for personal injuries, John Zelbst has been referred to as a "gun slinger from the old west fighting in an alley that time has all but forgotten. Today's court rooms are sterile and dead. More like mausoleums and morgues. John brings life, thunder and justice back into these quiet cold rooms." Listen to John being interviewed on Americans Best Lawyers and you will see what these professionals were talking about. Awards: Selected multiple times by the readers of the Lawton Constitution as the Best Lawyer of the Year. Oklahoma Bar Association, Young Lawyers Division for the years 1994 and 1995 for participation in the Student Training and Employment Program (STEP). Oklahoma Bar Association Courageous Advocacy Award 1989. Reported Cases: Mr. Zelbst and his associates have obtained many large settlements and verdicts on behalf of their injured clients. Including the largest known personal injury verdict in the state of Oklahoma-24 million dollars, Henderson v. Petro Energy Transport Co. et al., DC Jackson County CJ-95-64.